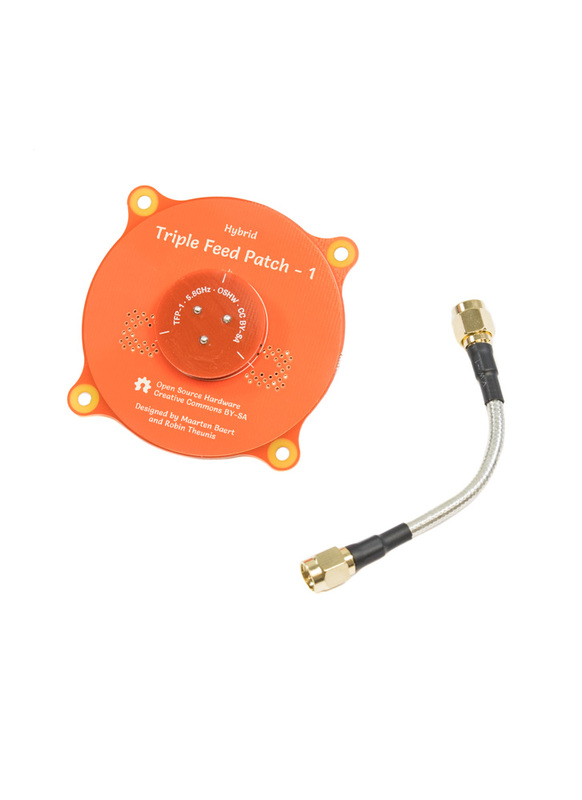 The Triple Feed Patch antenna is a directional circularly polarised antenna designed by Maarten Baert and his co-worker Robin Theunis. Maarten has form when it comes to creating killer antennas; he came up with the fantastic Pagoda antenna. 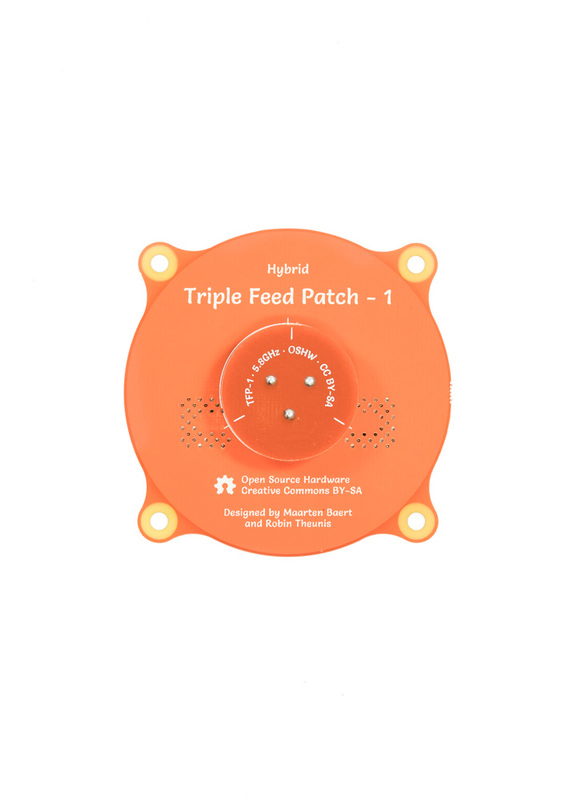 The Triple Feed Patch antenna is unique in that it’s the first of its type, which lets you switch between Left-Hand Circularly Polarised (LHCP) and Right-Hand Circularly Polarised (RHCP). It also boasts a much better axial ratio than most other FR4 based patch antennas. At nearly 1.0 (<1.3) its truer axial ratio means less multipathing and therefore a clearer picture. Finally the antenna has 9.4dBi of gain, which translates into great range! Included with the patch is a 8cm semi rigid SMA cable. 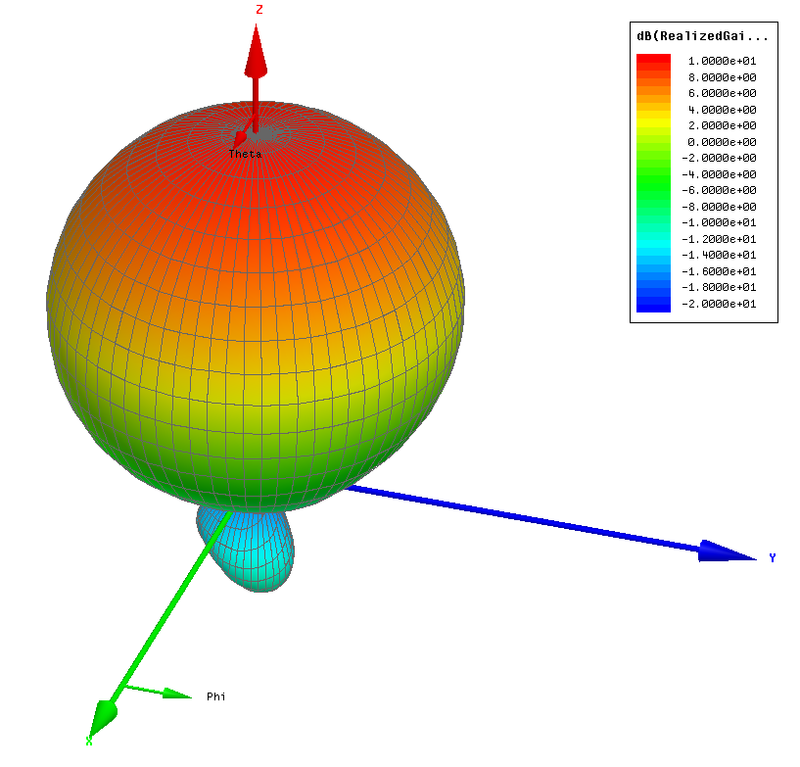 Good radiation efficiency at 5.8 GHz.